FEBON300 microscope is design for Hybrid Wireless and usb interface beauty microscope. A. Wireless is for tablet pad ( iPAD / iPhone /Androd) by wireless communication. 1.It can use NOT ONLY iPAD / iPHONE /Android by wireless BUT also PC windows MAC by USB interface. 3. Embedded Battery. it can use continuously more than 1 hour. 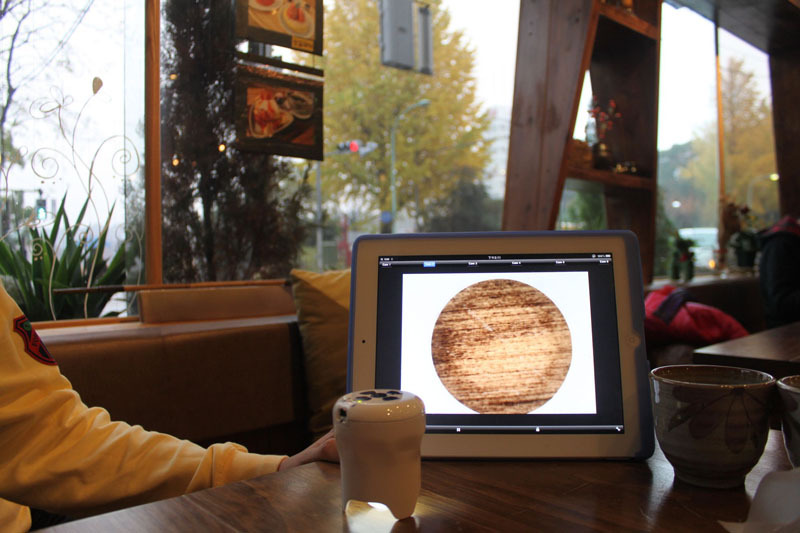 1.This auto wireless wifi handheld microscope is for IPAD /iPhone use! 2. it is also an wirless microscope but also can a usb microscope if directly connect in pc. 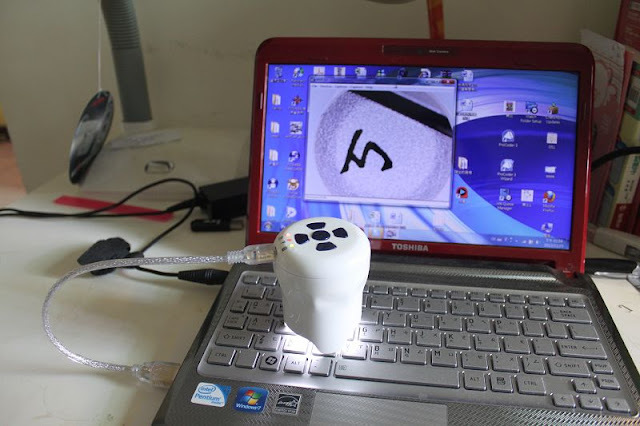 4.it is hybrid Wireless microscope and usb microscope. 5.it can show on iPAD / iPhone in iOS 6. 6.It is made for Beauty Equipment skin inspection tool camera microscope. The blue button on the broadside is for starting up and shutdown. Five blue buttons for: auto focus, LED brightness adjustment, image zoom in, image zoom and snapshoot. Battery indicator: displayed in green when fully charged, yellow when half charged, red when need charging battery. If the battery indicator shows no light, please charge the battery. light displayed as flicking green, fast flicking rate imply good signal. Battery charging: displayed in red when charging battery; displayed in green when fully charged. If the battery indicator displayed in green or no light, please charging the battery in time. Interface of charging is Mini USB, you may charge the battery by plugging Mini USB cable into your computer or using adapter that suit for Mini USB interface. Notify: Adapter’s output voltage should be +5V, otherwise, it may damage the Wireless microscope. It can works for about 100 minutes under Wireless working mode after fully charged. 1. Starting up, it will automatically under Wireless working mode if you haven’t plug it into your computer. 2. Switch USB working mode to Wireless woring mode by unplugging USB cable from your computer. You may view the pictures on iPhone/iPAD/Android / PC that has Wireless function. C. Key in http://10.10.1.1:8196 OR use "CamView"
It will automatically under wired working mode after plugging USB cable into your computer. Notify: it will be charged when under wired working mode, if you don’t use it to view the image, we suggest to shutdown it for faster battery charging. You may view the image on ordinary PC by using DeskTop Video, amcap, or capture software.